Ausaima, a previously unknown language of California, is described for the first time using data from a Franciscan document in the language. The sound and meaning patterns of the language are presented, with a complete lexicon. Ausaima (Costanoan/Ohlonean subfamily, Utian language family) presents key evidence that Costanoan/Ohlonean languages were a dialect chain, rather than a clearly branched family tree, confirming the early model of Kroeber. Ausaima data permits a look at the prehistoric sociolinguistics of local tribes (Kroeber's tribelets) in central California from the time of the Windmiller Pattern intrusion into the area during the Middle Holocene (ca. 5,000 to 3,000 BP). The book enlarges the data on contract between Costanoan/Ohlonean (and Utian) and Proto-Uto-Aztecan, which preceded Costanoan/Ohlonean in its historic territory. 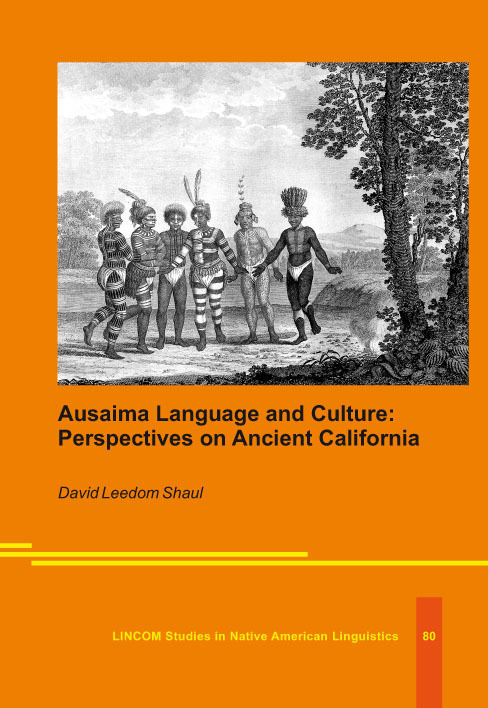 A definitive ethnographic sketch situates Ausaima and other Costanoan/Ohlonean languages in cultural context. ISBN 9783862888399 (Hardbound). LINCOM Studies in Native American Linguistics 80. 224pp. 2017.